The following reviews are for product "PIERCE 5 PIECE COUNTER SET"
I live in an apartment that is limited on space. I was a little concerned once I purchased the table and re-measured the intended area for placement but the table fits perfectly. My small family (2 kids and grandma) can fit and eat comfortably. Assembly wasn't as bad as I anticipated from reading the reviews. I did use a drill for some of the screws but I didn't have the proper bits for some sizes and the assembly was still rather simple. This table is great. The tools to build it were a little difficult, but with a basic tool kit, we knocked out the assembly in a snap! The table looks amazing! It's solid and feels stable. I love that the design and color have a neutral vibe, meaning it can mix and match as my mood and seasons change. I love this table and I'd recommend it to anyone. I was so happy to be able to finally find the exact table set I’ve been searching for at a reasonable price! This is the exact table set I’ve had in my head for so long and could never find. Thank you for being so flexible in also allowing my brother to pick it up for me as I live around 4 hours away. ☺️ I love it! The following reviews are for product "BAYFRONT CHEST OF DRAWERS"
I really liked the dresser at the store but once I had it up in my daughter's room I just LOVED it!! The drawers are very spacious and feel sturdy. The style is perfect not too fancy or too boring just perfect! My wife and I bought two of these BayFront chest of drawers for our daughters. We wanted white color, with plenty of room for them to grow. We are very happy with this purchase with exception of the fact that the top drawer on one of the pieces would catch (a screw I assume) in the railing and not close properly. It took the Living Spaces support team a couple weeks to coordinate a service call, but it seems to be working fine now. I recommend getting it fully assembled. Cleary put together well. very durable and well constructed. Good rails and glides, and the wood is very solid. I intend to get a whole Bayfront set for my daughter! 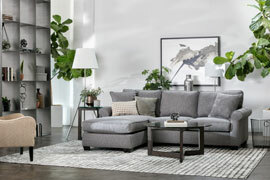 The following reviews are for product "KIT-GORDON 3 PIECE SECTIONAL W/LAF CHAISE"
This sectional is HUGE! It's very comfy for TV watching and I is firm enough to have a guest sleep on. Beware though the leather is type of leather that scratches easily. Our couch has incurred many scratches in the short time that we've owned it. Hoping it will all mull into that distressed leather jacket look in time. Obviously the sectional is more plush than the one at the store (as it has not sat on many times) but it is big. Make sure you do have ample space through your doors in order to bring it inside. Very sophisticated and top quality leather. Love it! Incredibly comfortable. Fits perfectly in our large family room. Leather is very soft and durable. Only reason I gave it 4 stars instead of 5 is that I wish the chaise part was longer. The following reviews are for product "CALLIE ACCENT CHAIR"
This is the best ever. also matches the pillows to the love seat. Love it the most in the morning with my coffee and watching the news while my son is still asleep. I recommend all the single chairs. just adds an accent to the set. The Callie Accent Chair is a gorgeous chair! It is well made and very comfortable. The material reminds me of the pullover sweaters that beach goers wear and looks beautiful in my beach themed living room. It's a solid purchase! This was my first Living Spaces purchase but will not be my last. I took a friend to purchase a couch. I still was going to wait for while to make my purchase. But found my perfect Chair and Couch so came back next to purchase. Salesman was great, easy process. I needed to wait for 2 weeks for delivery but no problem at all. Delivery on time very quick and delivery people courteous and careful getting items into house. The following reviews are for product "90X126 RUG-AMARI SMOKE"
read more Click to read full text of review titled "Should see in person first". so thin, it makes it look like its floating over the floor. Get the cheaper thinner carpet pad. Love the design. Its different from the rest! The following reviews are for product "PARKER CHAIR"
It is very comfortable and deep, much deeper than the couch we were replacing. We sat on it in the store before ordering online for pickup, but still did not fully appreciate how much bigger it was until it was in the room. A couple notes: The textured fabric seems to collect dog hair much faster than our other couch. Documentation quoted minimum door width 30". Before the bottom feet were installed we were able to easily get it thru a 29.5" doorway with 2 guys. Perfect size for two people or one person to sprawl out on. It's our favorite piece over the sofa. You can curl up in it because it is so deep. Cushions are comfy and pillows are great. More blue than gray. If you are picking up u will need to drill the feet on. Quality is above for the price. The chair is great. Lovely color very comfortable looks amazing in my living room. I would recommend anybody and everybody to buy this chair. On the downside I realized when I brought it home that it had a tiny tear. I guess I should’ve inspection at I would recommend anybody and everybody to buy this cheer. On the downside I realized when I brought it home that it had tiny tear. I guess I should’ve inspection it Better when I received it. The following reviews are for product "GRIFFIN GREY POWER RECLINING LOVESEAT WITH CONSOLE"
The color was a little off from what was described online. They had the same couch in-store so I went and tried it before I bought it. The material is easy to clean and extremely comfortable for the asking price! I absolutely love my loveseat! It matches perfectly and fits in with everything! I made my purchase of love seat recliner back in December of 2018 and it’s the best thing ever. It’s sturdy and great fabric. It’s easy to clean and maintain in good condition. I have two dogs with sharp claws and I have to say! It has survived and it’s only been a month. The following reviews are for product "R2 PLUSH FULL MATTRESS"
This mattress is AMAZING! One of the best purchases I've ever made. The Eastern King gives you and your partner ample space, yet the comfort of it creates a very cozy atmosphere. You feel like you're sleeping on a cloud yet it's still firm enough to provide support. And the cool top allows for a comfortable rest throughout the night. Can't say enough great things about this mattress. We love it! Perfect combination of plush but firm and the cooling is amazing. Best sleep in a very long time! 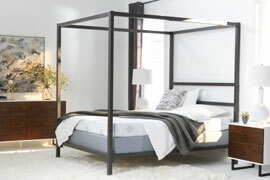 The following reviews are for product "SILVER CALIFORNIA KING SPLIT LOW PROFILE FOUNDATION"
Very comfortable mattress! We've had it a few weeks now and Love it! I am very happy with my purchase! and would certainly recommend it to my friends. 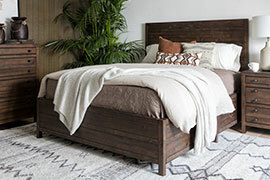 We have a low, Japanese-style platform bed. Our last foundation was too low and made it difficult to wrap the fitted sheet without having to lift the mattress. This foundation gives us another couple inches and makes it much easier. It also has more support. The following reviews are for product "NATASHA PLUSH PILLOW TOP CALIFORNIA KING MATTRESS"
Never slept better, we also bought the base (Revive? I think) the bed is the perfect amount of soft without being too soft. My wife and I sleep all through the night and wake up feeling refreshed. My wife and I absolutely love this mattress. I have not had a bad night sleep on it yet. We got the California king, and while the fitted sheet is very tight and the mattress protector reminds me of a hospital bed, those things have nothing to do with the quality of this product. When I laid down on this mattress in the store I realized I've been living wrong. This mattress is incredible, you sink in slightly before you get the support where you need it. This is the most comfortable mattress with the 9in box spring. Definitely life changing. The following reviews are for product "BRENNAN CHAIR"
the high back is great with added support and firm. holds its' shape, so far. 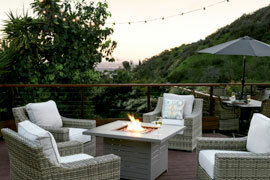 Sturdy chair, fun design, clean lines, the high arms add a touch of drama to the seating area. Love it! Just had grey wood flooring installed in living room and this whole collection of Brennan fits perfectly! Love the shape and color! The following reviews are for product "MARCO NIGHTSTAND"
Great quality and price- nice roomy drawers. Awesome wood. Great quality product and best service ever. The associate that helped us was very helpful, polite and knowledgeable of his job. Our transaction went smoothly without any problems what so ever and we were out of the store so quick because we had to be back on the freeway to beat the afternoon rush. This is the second time I have shopped at your store and I am very happy with your service and very happy with your products. I will truly recommend your store to my family and friends and I will definitely come back. Thank you and keep up the good work. The night stand it great. It was very affordable and great quality for the price. Great customer service when I went to look at product and when I came back to pick it up. I would recommend this product to anyone looking for a nighstand at a good price. 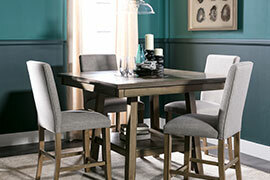 The following reviews are for product "CARLY RECTANGLE DINING TABLE"
I love the style of this table. It is so outside of my historical choices which is probably why I love it more. It’s the perfect size for my small(er) space. The only downside is the softness is the wood/veneer. I accidentally put the smallest indentation on the top when I laid something in it a bit too hard. Now I feel overly paranoid about anything I’m placing on it for fear of damage. 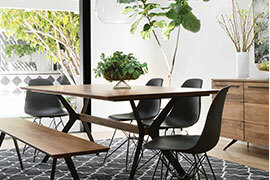 We bought this along with the triangle table so we could host up to 7 people and separate them when we want to have the triangle table in our breakfast nook. It is awesome!! Table works as expect. Sturdy and easy to clean. Would recommend. The following reviews are for product "KIT-HAYDEN WHITE FULL ROOMSAVER BED"
My teenage daughter felt in love with this bed to store and display most of her stuff. However, regret to say the only reason I am not giving it a 5 is because the base is not safe for her weight. Recommended to add a middle log for better support and to stop it from moving. Very important for safety. Be careful. 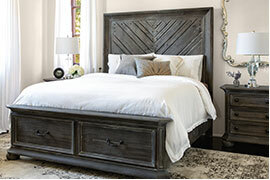 read more Click to read full text of review titled "Great space saving bed". the bed, so perhaps a thinner mattress would be a better choice. All in all, we are happy with this bed! The following reviews are for product "KIT-HAYDEN GREY TWIN ROOMSAVER BED"
Purchased for my 4yo. Installed the next day (so quick!). We do have an issue with the drawers (they stick) but the technician came by and we're getting to gliders in the mail, hopefully, that'll fix the problem. Love the bookshelf on the back! The following reviews are for product "FARRELL CHEST OF DRAWERS"
This is a very nice chest of drawers. It is very roomy. It was one of my best buys. I needed a chest of drawers to hold my clothes and organize my living space. Having purchased a gun metal grey lounge I loved this chest of drawers. It is exactly what I wanted and was thrilled to see it was on sale. The following reviews are for product "KIT-WYATT DINING TABLE"
This table matches our kitchen design as the gold stripe pairs with the handles on our cabinets. 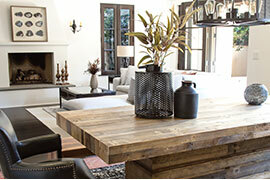 We especially like the bench that pairs with the table! 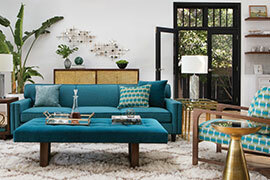 The expresso color of this table matches the bright color tone of my sofa set showing a vivid color contrast. The wood finishing of the surface is smooth like jazz!! It is heavy situated in the dining room like a tree. It is a focal point with a modern touch of every corner of the table sitting ten easily. It is a treasure hunt and I m enjoying the table with my large family and friends at every meal gathering fun time. It is priced reasonably with great quality. 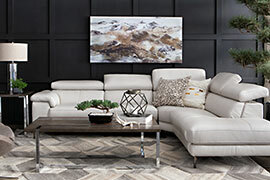 For the value conscious shoppers unwilling to sacrifice style for savings, our clearance section is your one-stop destination for furniture deals. 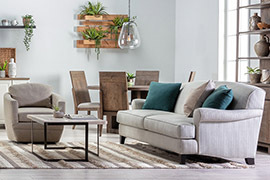 Choose from hundreds of discounted furniture for all of your spaces, from living room pieces like sofas, sectionals and recliners to bedroom and dining room sets. 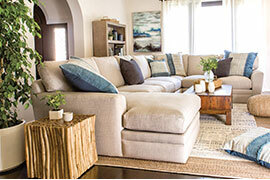 We even offer area rugs, accent pillows and other must-have home accessories to complete your room’s look. 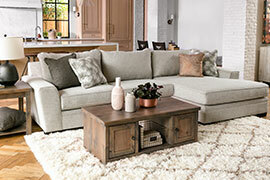 Our clearance section is overstocked with irresistible deals on the very best brand furniture. 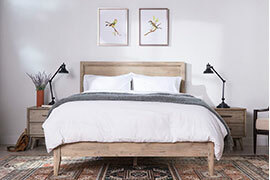 Whether you’re interested in closeouts, special order cancellations, or clearance items, you can expect the same great quality, stylish home furnishings that we sell in our retail stores except at an even more outstanding value. Best of all, you can hunt for those irresistible furniture bargains all from the comfort of your home. So stop by and shop our clearance section today to find the piece that’s right for you at an unbeatably low price.